“Failure will never overtake me if my determination to succeed is STRONG enough.” - by Og Mandino. Danny grew up in Long Beach with a loving family of Puerto Rican descendant. Although Danny grew up with love and support from his family, his community was filled with drugs and violence. As is the case with many young people, Danny grew attracted to the negative lifestyle. For a brief time, he was a part of the negative statistics of his community. This caused a ripple effect not only among the people he loved the most, but upon his community as well. It wasn't until being taken away from the people he loved most that Danny realized the injury he was causing through his bad choices. Danny has now taken the initiative to no longer harm those he loves and his community . Danny decided to go back to school, majoring in Psychology. In addition, he is taking Leadership training courses to better equip him to help restore and rebuild the youth of this new generation. 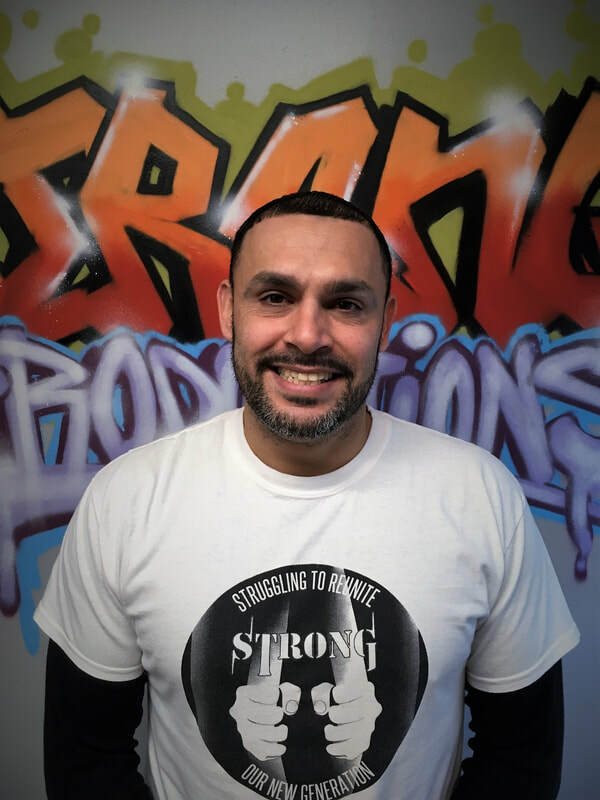 Becoming apart of the STRONG family has put him in the position to be fully engaged with youth and the community of Uniondale to serve them with love. STRONG has embraced him with open arms and encouraged him to give his all to the youth of this generation. Danny is committed to making positive decisions and actions to help build his community and family. He understands the change starts with him because Danny is STRONG. Danny has been with STRONG since June 2018. According to Danny, it has been by far the best decision he could have made in his life. In his time off, he enjoys the company of his Family and his Church. He Loves playing Drums, Basketball , Softball, going to the Beach and BBQing.